It might come as a shock to some people that, in the province of Ontario, children of any age can make decisions regarding their own health care. In other words, an 11-year old has the right to determine if she will undertake potentially life-saving chemotherapy. If this scenario seems fictitious, it’s not. It actually happened, and the little girl in question ended up dying of leukemia after refusing the treatment. A case like this obviously opens itself up to many emotional issues and points of conversation. First, it should be noted that the girl might well have died even if the chemotherapy was chosen. Indeed, one of the determinations in allowing any child of any age to make such life-threatening decisions is an assessment of their capacity for informed decision-making. In this case, the girl (along with her family, it should be noted), decided that the painful nature of the treatment, as well as its chances of failure, were not worth enduring. Instead, the child and the family opted for traditional aboriginal medicine. It should also be noted that the law doesn’t simply allow any child for any reason to make such important life decisions. 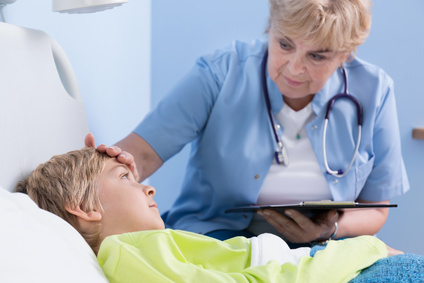 A doctor must determine that the child in question can make informed decisions. In addition, the child’s consent must relate to the treatment in question, be given voluntarily, and not be obtained through misrepresentation or fraud. If all these conditions are met, then any child of any age can make their own health-care choices. As strange as this may seem to some, it’s the law of the land, at least in the province of Ontario. It’s certainly not the law in other Canadian jurisdictions. For example, in Quebec, children under 14 are considered minors and would have to pass a mature minor test to make certain health-care choices. In Manitoba, as another example, all children under 16 are considered minors and, as a consequence, are incapable of make these kinds of decisions on their own.